For many people, the effects of sun damage and aging can leave you looking older than you feel. In order to help you feel and look your best, Drs Bruno and Brown offer a number of non-invasive cosmetic procedures to restore a youthful, vibrant appearance. Sara has worked in the skin care industry for seven years, specializing in Medical Esthetics. Her knowledge and expertise of all things related to the skin is impressive. From facials, chemical peels, mechanical exfoliation, IPL to Collagen Induction Therapy, she truly loves making a difference in the health and overall appearance of her patients’ skin. Sara has numerous certifications in various treatments such as Microneedling, Dermaneedling, IPL and Advanced Chemical Peels, as well as certifications from medical grade skin care companies in their various product lines. She has a passion for continuing education and has trained through the Dermal Institute and Aesthetic. 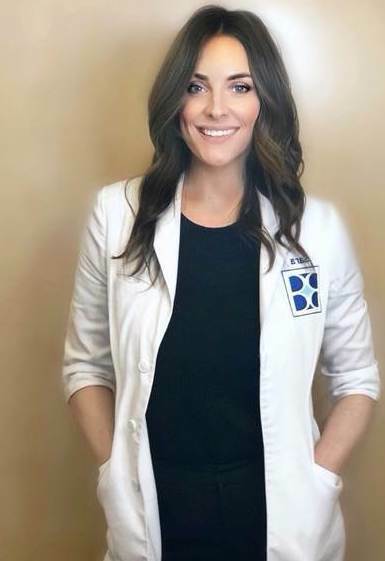 Sara keeps up to date on the newest advances in the skin care industry and loves sharing her knowledge and expertise to help clients conquer their skincare challenges and concerns. She looks forward to developing a relationship with our patients and to helping them on their journey to beautiful, healthy skin.